I received free product from Expressions Vinyl to use for this post. All opinions and content are 100% honest and my own. In a couple of weeks K turns one. I honestly can’t believe the past year has gone so fast and I’m sure the next few weeks will go even faster so I’ve already started the party planning for K’s first birthday party in April. Everyone says that to help your babies learn how to sleep you should put together a bedtime routine and that was one of the few pieces of advice that we followed from day one. Our routine includes changing into pajamas, reading the book Pajama Time, prayers, bottle, and bed. I decided to plan his party using my favorite part of our bedtime routine – reading Pajama Time as a family. 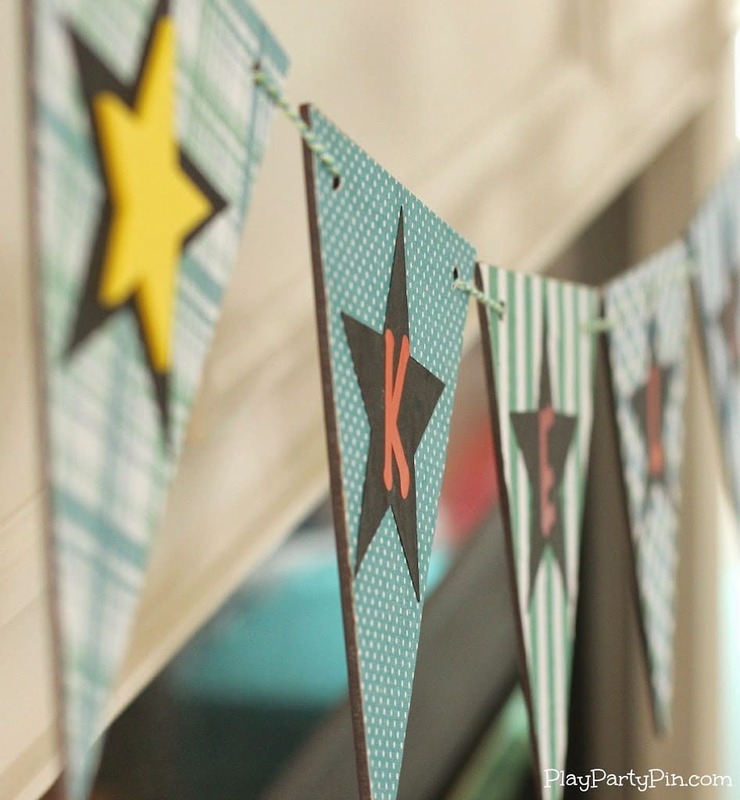 So today I’m sharing the first of numerous posts about K’s Pajama Time party, this easy DIY party banner that I made using wood pendants, scrapbook paper, and Expressions Vinyl adhesive vinyl. 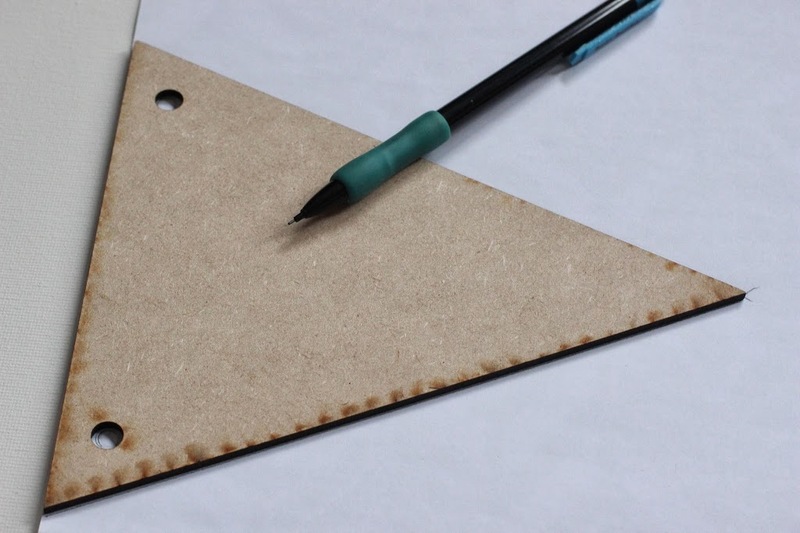 Step 1 – Put your triangle pendant on top of the back of a sheet of patterned paper and trace around it, making sure to also trace through the holes. 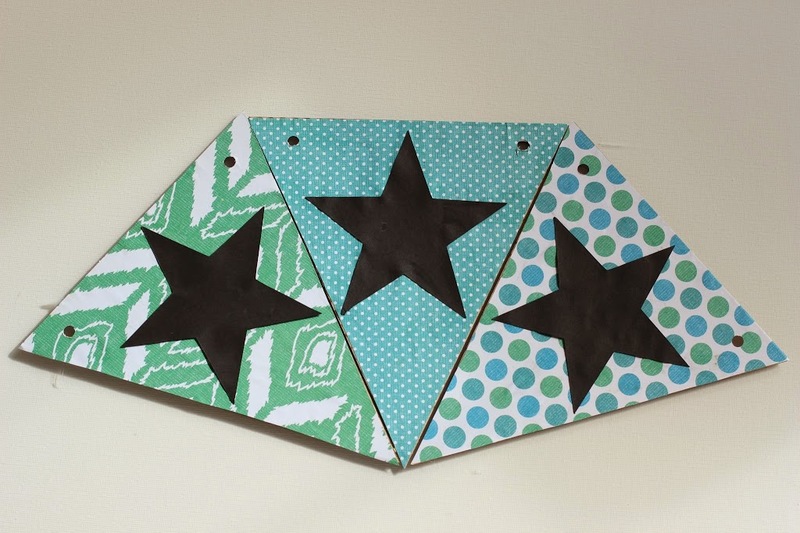 Step 2 – Cut out your triangles from the scrapbook paper and punch out the holes using a one hole punch. 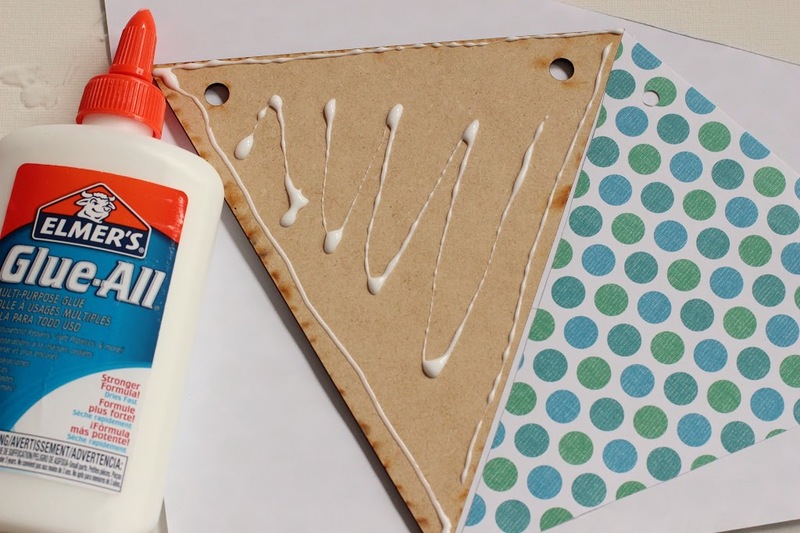 Step 3 – Glue the triangle to one of the pendants using Elmer’s Glue, making sure to line up the edges of the pendant and paper. Repeat until you’ve covered all of your pendants. 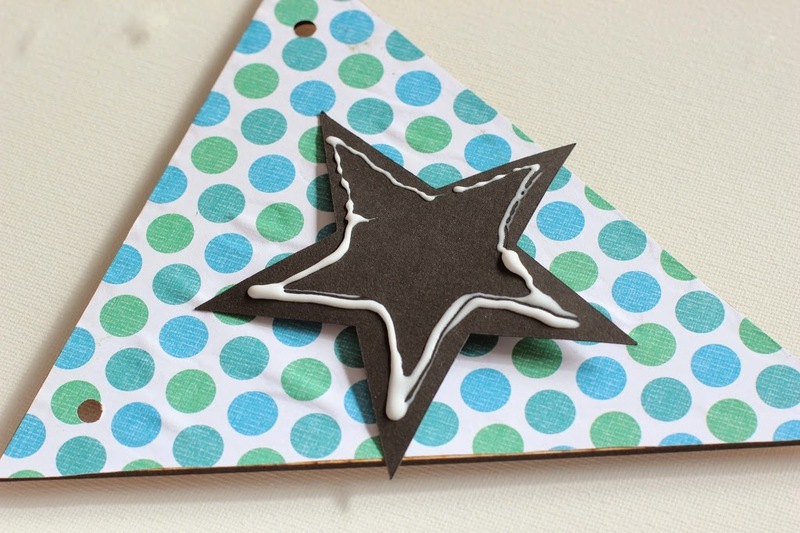 Step 4 – Cut out stars (or any other shape) from the solid colored cardstock. I used my Silhouette to cut out stars to match my pajama time theme. 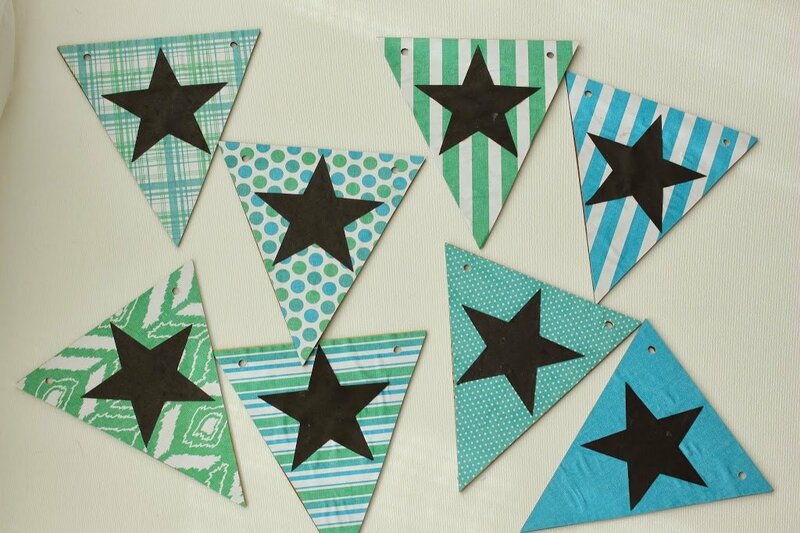 Once your stars are cut out, glue onto the pendants. 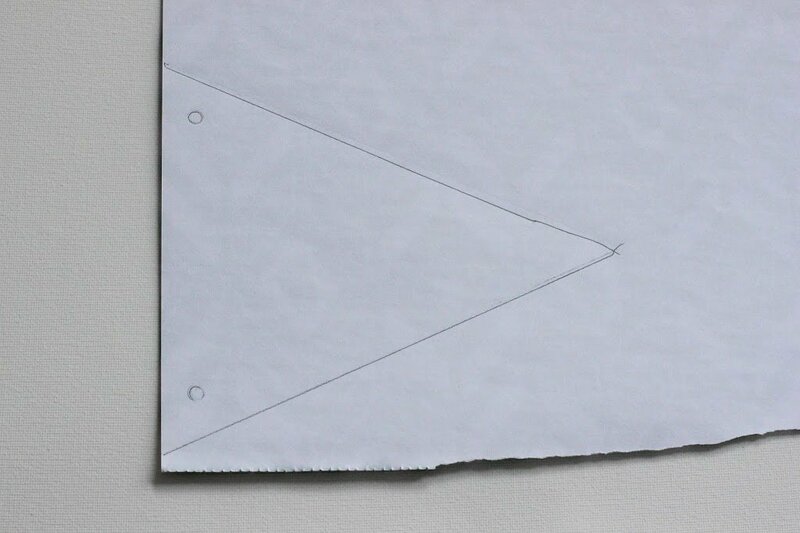 Step 5 – Cut out your letters from the adhesive vinyl. 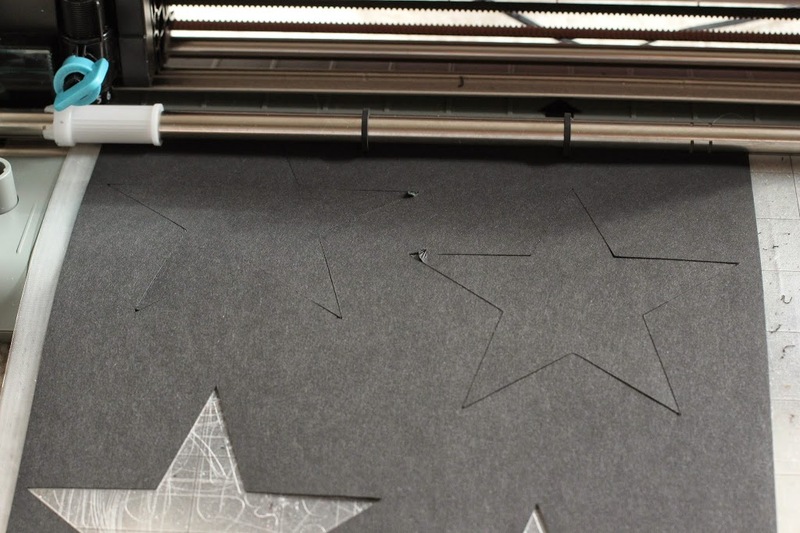 Remove the backing and attach to the stars. 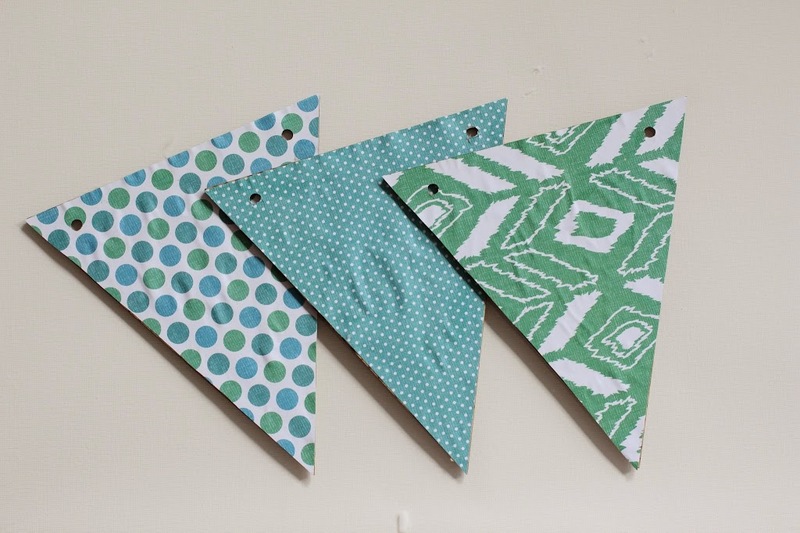 Step 6 – String your pendant on baking twine and hang. I absolutely love how the banner turned out. 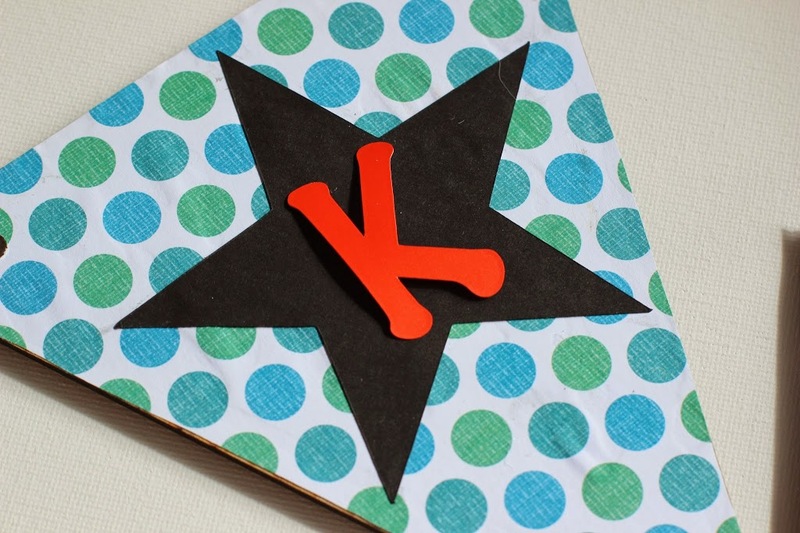 It’s going to be perfect for K’s Pajama Time party and the best part was that it was so easy to make. 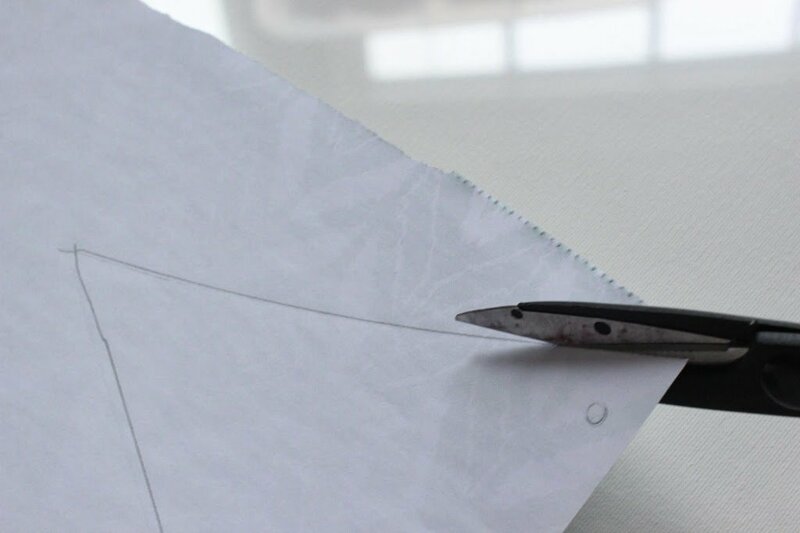 I don’t cut vinyl as often as I should but honestly it’s easier than cutting paper and way easier when you want to cut out and glue on something complex like letters, shapes, etc. 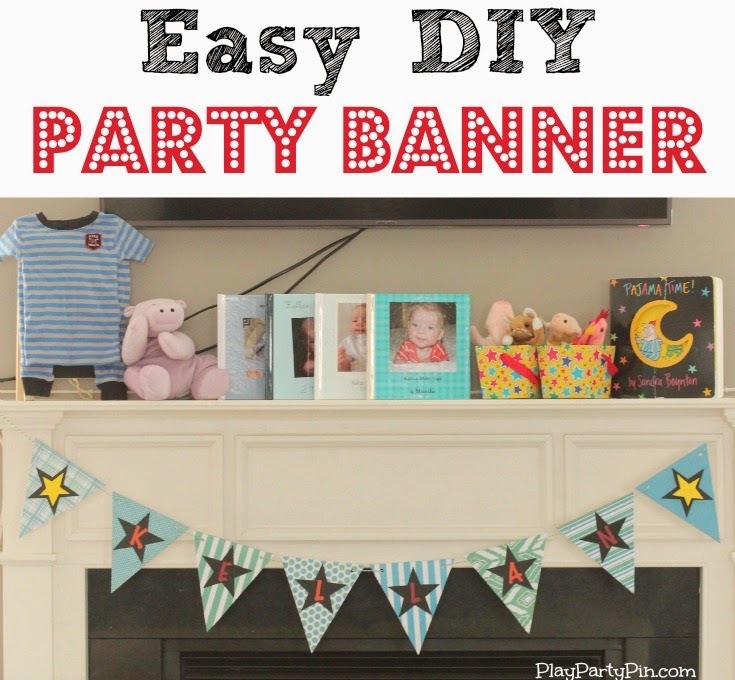 There are so many things that you can do with vinyl and this banner is just a simple way to use it. 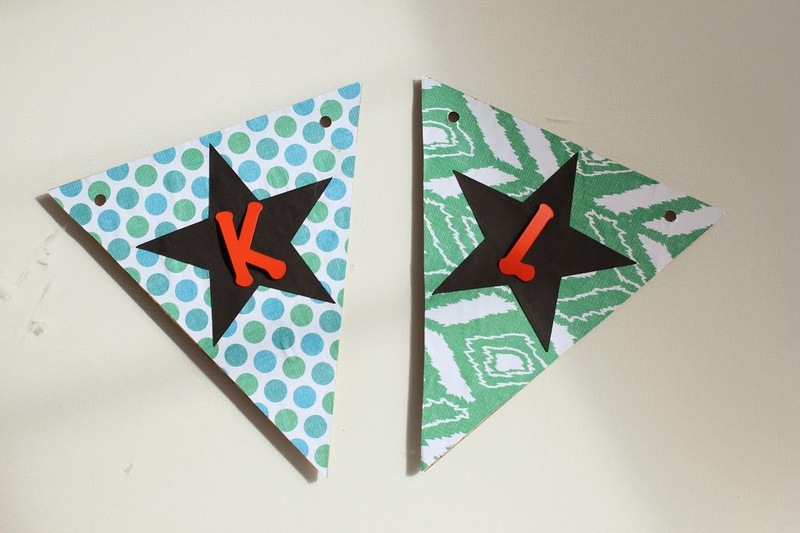 Stay tuned for more fun ways to use vinyl and more sneak peaks at K’s upcoming Pajama Time party. 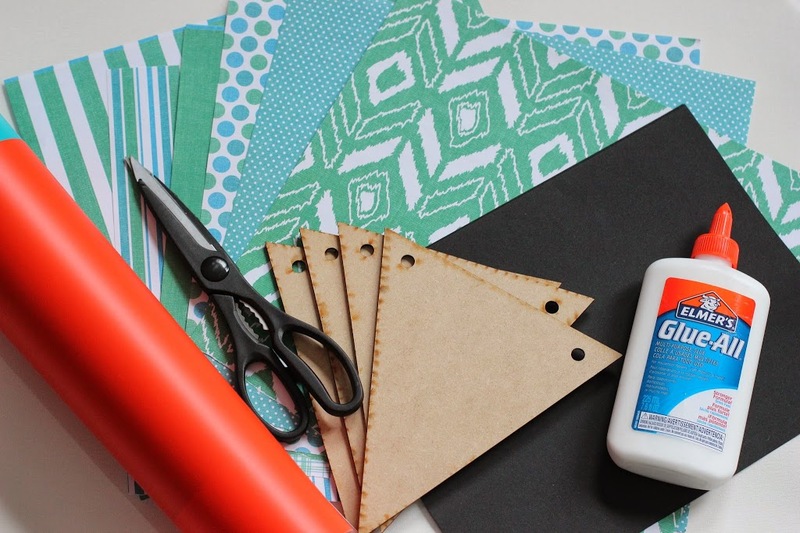 Love vinyl or want to try using vinyl for the first time? Expressions Vinyl has generously offered to give one of my readers a $25 Expressions Vinyl gift card just for filling out the Rafflecopter form below. Giveaway ends at 11:59 PM EST on Monday, March 24th. Expressions Vinyl has also offered to give all Play. Party. Pin. readers a 10% discount on any purchases if you use the code PLAYPARTYPIN. Looks cute! Where do you get the pendants? I’ve never worked with them before. How cute is this! 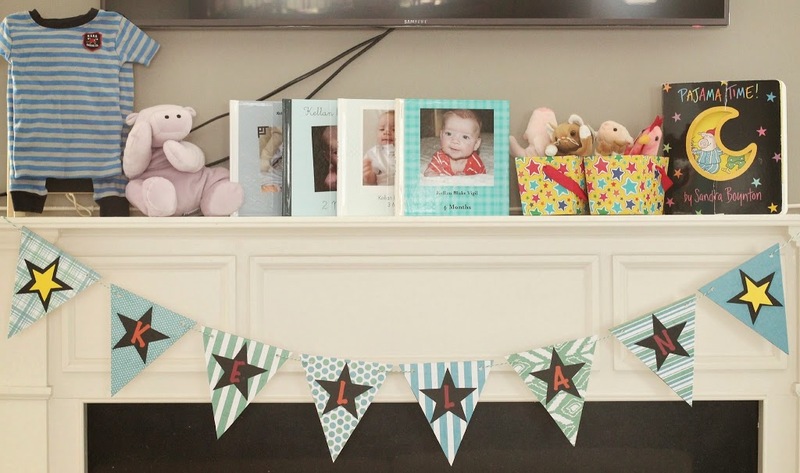 This will be such a cute birthday party! 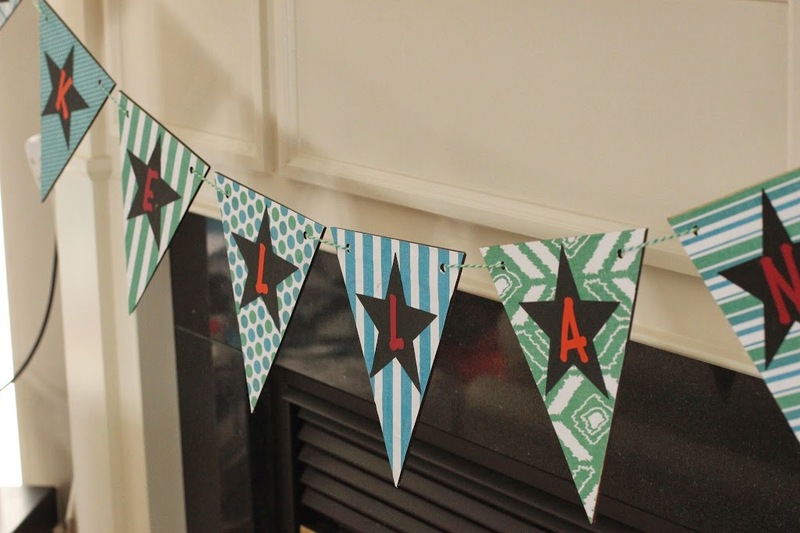 very cute-a different take on making a banner! I love this banner! Too cute! I don’t use Twitter or Instagram, but I am addicted to Vinyl and I would go crazy using it, for gifts and fun. Eeee, this is so cute! Nicely done.